I lost my job of 12 years due to outsourcing and tried for ten months to get job in Charottesville but, could not. Instead, I enrolled in grad program in Richmond, but can't afford gas for daily commute nor a room/apartment to stay there. I rented instead an unheated garage with no electricity or plumbing, in which i park my car AND live during the week. 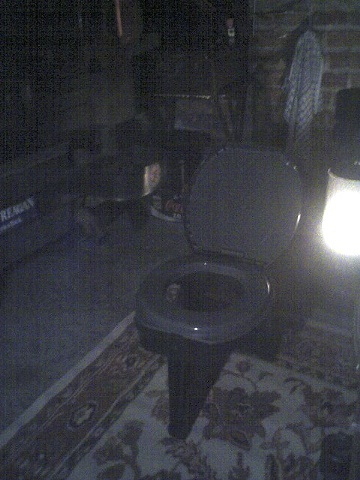 There is kerosense lantern and heater, and the pictured device, called a 'Port-O-Let'.